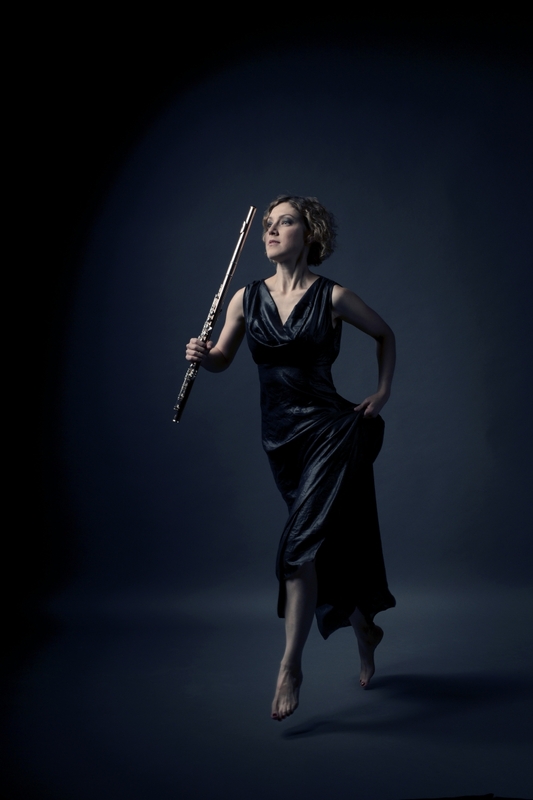 Known for her engaging and lively performances, Israeli-born flutist Naama Neuman has played first flute in the Komische Oper Berlin and the Wuppertal Symphony Orchestra, and has performed under the baton of numerous world-renowned conductors such as Zubin Mehta, Kiril Petrenko, Gustavo Dudamel, Valery Gergiev, and more. In addition to her orchestral career, she’s an equally accomplished chamber musicians who’s participated in several international chamber music festivals across Europe. As a member of the Israel Contemporary Players since 2014, Naama also cultivates an active role as a contemporary music performer, having premiered several new works both written for her as a soloist and for the ensemble. Naama is also the former musical director of the Polyphony Foundation, an organization dedicated to overcoming division and bringing together Arab and Jewish children in Israel through music. Slated to perform with the McGill Symphony Orchestra (MGSO) as the winner of the 2018 McGill Concerto Competition, Naama will perform Jacques Ibert’s Concerto for Flute and Orchestra on Friday, October 19 and Saturday, October 20 in Pollack Hall. We recently had the chance to hear from her in an email interview, where she discussed the concerto in detail. Why did you choose to compete in the Concerto Competition with Ibert’s Concerto for Flute and Orchestra? The Ibert flute concerto is not only a wonderful piece of music, but it also has a rare balance between high technical demands and beautiful melodies, which allows one to show their full ability both as a instrumentalist and as a musician.Another reason for this choice was the orchestration of the piece. There’s a constant dialogue between the solo flute and the orchestral soloist, which adds (in my opinion) an even greater sense of depth to the music and makes the piece an absolute pleasure to play. What should an audience member who might not be knowledgeable about the piece look out for while listening? The first movement of the Ibert flute concerto is brilliant, jumpy and restless. The opening of this movement sounds like an unexpected series of explosions from which the action starts. The flute carries the music forward in a breathless string of sixteenth notes, and this fast pace lasts through the entire movement – even during the flute's lyrical second theme. The slow second movement comes from a different emotional world. Around the time of writing this piece, Ibert’s father died. I feel that in this movement, Ibert exposes his grief to the listener through the music as it's full of uncertainty, longing, passion, and finally acceptance. An enchanting moment occurs in this movement after the big climax, where the flute takes on the role of an accompanist while the main theme is played by the concertmaster. In the jazzy third movement, Ibert asks for everything of the flute soloist – from daredevil leaps and racing scales to tongue-twister melodies and rhapsodic ornamented tunes. Just before the end, a small, mad cadenza leads to a swift and explosive ending. Buy your tickets to the McGill Symphony Orchestra's October 19 and 20 performances here.